UNITED NATIONS, Apr 10 2019 – A former UN Secretary-General, the late Kofi Annan, once described civil society organizations (CSOs), as “the world’s new superpower” – perhaps ranking behind the US and the former Soviet Union. But that political glory has continued to diminish over the years– and more so — against the current backdrop of repressive regimes, hard right nationalist governments and far right extremist groups. Perhaps the most virulent attacks on the civic space of CSOs—also known as non-governmental organizations (NGOs) — are largely on their attempts to provide protection and security to migrants and refugees in the “dangerous crossings,” from North Africa across the Mediterranean Sea and the Mexico/US border. “There are now serious restrictions in civic space on every continent,” says the annual State of Civil Society Report 2019, released last week by the Johannesburg-based CIVICUS. And it singles out the Italian government’s decision to impose a hefty fine on one of the world’s best-known humanitarian organisations, Médecins Sans Frontières (MSF), while also freezing their assets, impounding their rescue vessel and investigating their staff for human trafficking…in retaliation for their efforts to save refugees from drowning in the Mediterranean Sea. There were also instances of civil society activists being charged, tried and convicted in the United States for providing water supplies for migrants crossing the deadly Sonoran desert on the US/Mexico border. The report points out these institutions did little to respond to the great challenges of the day– failing to fight overwhelming inequality and also were largely silent on human rights abuses of states such as Saudi Arabia and Sudan while letting down the people of Syria and the Rohingyas of Myanmar, among many others. Still, both the UN High Commissioner for Human Rights Michelle Bachelet and the Geneva based Human Rights Council (and its 38 human rights experts – officially called Special Rapporteurs) – have taken the lead in singling out abuses worldwide. In early March, Bachelet expressed concern about the possible approval by the Guatemalan Congress of a bill amending the Law on Non-Governmental Organizations for Development—a move aimed at limiting the work of human rights defenders and civil society in general. 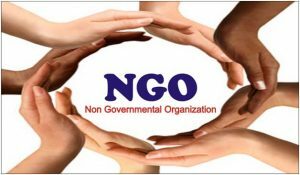 The draft bill included requirements and administrative controls for national and international NGOs that in practice could be applied in a discretionary or arbitrary manner to limit the exercise of CSOs. “I regret that Congress has continued with the process of approving this amendment despite its inconsistencies with international human rights standards, and despite the technical advice provided by my Office, and serious concerns expressed by UN independent experts and civil society,” Bachelet said. The draft bill narrows the definition of NGOs, limiting their scope in a way that may constrain the rights to freedom of assembly, association and expression. To obtain authorizations, NGOs would need to go through a complex registration process with several different state institutions, and the criteria for granting, rejecting or revoking those authorizations are not specified in the bill, according to the office of the High Commissioner. Asked if there is a role either for the United Nations or its member states to protect CSOs under attack, Mandeep Tiwana, Chief Programmes Officer at CIVICUS,told IPS the UN is making some efforts to put the issues of attacks on CSOs and activists in the spotlight. In December last year, he said, the President of the UN General Assembly, in a symbolic event, awarded the UN human rights prize to three civil society activists and an organisation dedicated to the protection of human rights defenders. Recently, on March 21, the UN Human Rights Council (UNHRC) adopted a first-of-its- kind resolution on the protection of environmental human rights defenders, said Tiwana. The UN Secretary General has a designated senior official to lead efforts within the UN system to address intimidation and reprisals against those cooperating with the UN system. And, he said, the Office of the High Commissioner for Human Rights and UN Women regularly champion the work of CSOs and women human rights defenders respectively. “However, in light of the growing restrictions on civic space, around the world, and even at the UN itself, these efforts are often not enough,” complained Tiwana. This is in part because the UN itself is also under pressure from (undemocratic) governments that restrict civil society at home, and wish to do so at the UN as well. He said the CIVICUS Monitor, a participatory platform that measures civic freedoms finds that only 4% of the world’s population live in countries where the freedoms of expression, association and peaceful assembly are adequately protected. These are necessary for a healthy and enabled civil society and enshrined in international law. 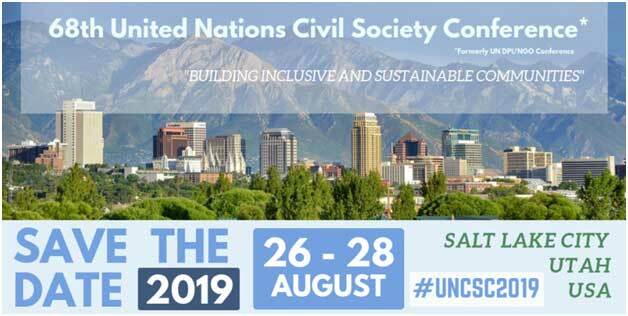 “Our 2019 State of Civil Society Report points out, that the UN is hamstrung by the actions of powerful states that refuse to play by the rules including the US, China and Russia”. Tiwana said a number of rights repressing states are joining international bodies. In 2018, for example, Bahrain, Bangladesh and Eritrea, joined the UN Human Rights Council. And over 60% of the UNHRC members are states with serious civic space restrictions that don’t respect civil society rights. In doing so, they are making decisive action less likely. Second, states are withdrawing from international institutions and agreements, with the US withdrawing from the Paris Agreement on Climate and undermining UN resolutions on Palestine and the Occupied Territories. Philippines has pulled out of the International Criminal Court (ICC) in a bid to avoid international accountability for widespread human rights violations including attacks on civil society. In 2018, the new Global Compact for Migration also saw a string of states with hardline migration policies pull out between the agreement of the deal and its signing. Third, rogue leaders are bringing their styles of personal rule into international affairs, ignoring existing institutions, agreements and norms, acting as unilateral strongmen or striking bilateral deals with other hardmen, undermining multilateralism and making it harder to scrutinise their actions, Tiwana noted. 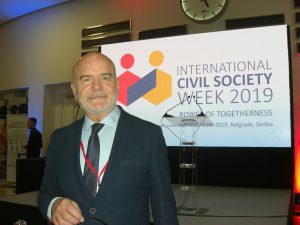 Potentially everything seems up for negotiation and nothing can be assured at the international level, even the 70-year-old international human rights norms that underpin civil society action, he warned. BERLIN, Apr 10 2019 – What happens worldwide on Fridays, a regular working day and consequently, a school day? We are all witnessing that students do not attend their classes: during the week of March 15, 2019, according to fridaysforfuture, there were at least 1.6 million striking students in more than 125 countries on all continents. Students ask their governments and parents: “Why should I be studying for a future that soon may exist no more, if no one does anything to save that future?” And they pledge: “Dear adults, use your power!” The youngsters gather in front of their town halls, exposing signs and pictures #Fridaysforfuture or #Climatestrike. How did this global movement start? It all began with the activism of one person, a girl from Sweden. Who is that girl? Greta Thunberg is a Swedish student, aged 15 in 2018. Due to the hot summer in 2018, causing severe fires in large forests in Sweden, she decided on August 20 to boycott school lessons until the general elections in her country on September 9 would have taken place. And she did. Her motivation: To advocate for the obligations voluntarily taken over by the Swedish government to reduce carbon emissions as foreseen by the Paris Agreement on Climate Change. But even when the elections had taken place, she continued to boycott school lessons on Fridays. As a climate activist she has become a role model for thousands of students all over the world. In the following months, students followed her, in December 2018 there were more than 20.000 students in about 270 cities “on strike”, in Japan, Finland, USA, Australia and Germany. And these demonstrations do continue – every Friday, having now reached the impressive number of 1.6 million participants. You can listen to Greta Thunberg’s impressive speech addressing political leaders at the climate conference in Katowice (COP 24). What is her message to all these leaders and politicians? She argues that the adults in charge only speak about green growth because they are too scared to take measures which could be unpopular. From her point of view, the wrong decisions taken in the last decades are the cause for the mess we are in today. And she explains to the powerful leaders that they are not mature enough to take responsible decisions, even this burden is left to the children. Whereas in industrialized countries people can enjoy wealth, people in developping countries, especially children, suffer and are threatened with regard to their future. This is a powerful statement. In the meantime, Greta has celebrated her 16th birthday. She has the Asperger syndrome, a mild form of autism. However, she is capable to come up with a clear view and responsible position with regard to the future and the action needed. Her view is much clearer than the one of adults, among them politicians, entrepreneurs or each of us. With strong impetus she explains that she does not understand why governments and citizens would not act, as climate change is threatening all of us. We all know that climate change is a reality, only very few persons still deny the facts and the evidence behind it. 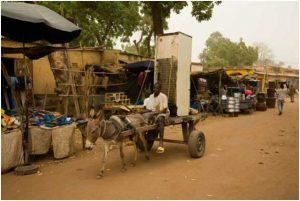 Climate is changing rapidly, deepening the abyss between those who can adapt and protect their lives – the rich – and those who are directly exposed to it, many poor people in Africa, Asia or Latin America. They are threatened by floods, avalanches, tsunamis or simply because of drought. Climate change is the reason for people to leave their villages thus becoming refugees. Climate change makes childhood much harder for so many girls and boys worldwide or even destroys childhood at all. Far too often there is no education which is the most important way out of poverty and which creates perspectives for families. At the same time, everyone is talking about sustainable life styles, but what is really happening? As citizens and as customers we see and feel our share. When taking the car or air plane even for short trips, we know we could easily walk or take the train. When consuming too much meat, we know we could eat less. Furthermore, we still use too much fossil fuel or witness the ongoing deforestation of tropical rainforests. However, we are perfectly aware that giving up some of these climate threatening habits would be very easy for us – so why are there so many obstacles? Coming back to Swedish activist Thunberg and her recent presence in the media: Greta was invited to the World Economic Forum in Davos/Switzerland in January 2019 and there she talked to the powerful leaders of our governments. How did she get there? By train, of course, which meant she was travelling for 32 hours from Stockholm to the Alps. Once again, she delivered a most impressive speech, claiming that our house is on fire: A short summary of her key note: In Davos, where the focus is on economy, finance and growth, these seem to be the main global problems. As to Greta a turnaround is urgently needed, since financial success comes with an unthinkable price tag. Citing the scientific findings of the IPCC, she refers to the short deadline for homo sapiens to stop the emissions of green house gas. And she clearly states that this change will be uncomfortable to many of us. She urges leaders to take influence on political decisions and reminds them that the bigger their platform is, the bigger their responsibility is, too. Who listens to Greta? Which politicians and leaders take action after the global movement fridaysforfuture? In my country, Germany, Chancellor Angela Merkel has complimented Greta on her activism and expressed sympathy for the global movement (a slight irritation after a comment of Chancellor Merkel during the Munich Security Conference in March 2019 has been discarded). But where is the action needed? Let us remember that global leaders voluntarily agreed on two major texts in 2015: the 2030 Agenda for sustainable development and the Paris Agreement on Climate Change. Whereas SDG 13 asks for taking urgent action to combat climate change and its impacts, showcasing the political will of all the subscribing 192 countries, the legal character of the Paris Agreement on Climate Change is a binding one. What action have leaders taken since then in order to fulfil their ambition and legal obligations? In 2015, Greta was 13 years old, in 2018, when analysing the global climate situation, she started her activism. In between, on the occasion of the International Women’s Day on March 8, Greta Thunberg was proclaimed the most important woman of the year in Sweden in 2019. On March 31, she received the German Special Climate Protection award (Goldene Kamera). And three Norwegian MPs have nominated her as a candidate to receive this year’s Nobel Prize for Peace. From my point of view, the most important consequences of Greta’s wake-up call are the fact that it brings about a global discussion for the change needed. Furthermore, it causes incentives for real leaders and reasonable politicians to act today. I personally hope that Greta will be right in her analysis of the IPPC’s report that there is still a short deadline left for homo sapiens to stop the emissions of greenhouse gas and safe our planet. And, hopefully, that Yuval Noah Harari, the author of the famous bestseller “Sapiens” may revise his conclusion at the end of his book, that in the course of seventy thousand years homo sapiens has become the master of the entire planet and, at the same time, has become the terror of the ecosystem.